In a large bowl measure out Chex. In a saucepan, heat chocolate chips, peanut butter, and butter, over low heat. Stir frequently, until melted and smooth. 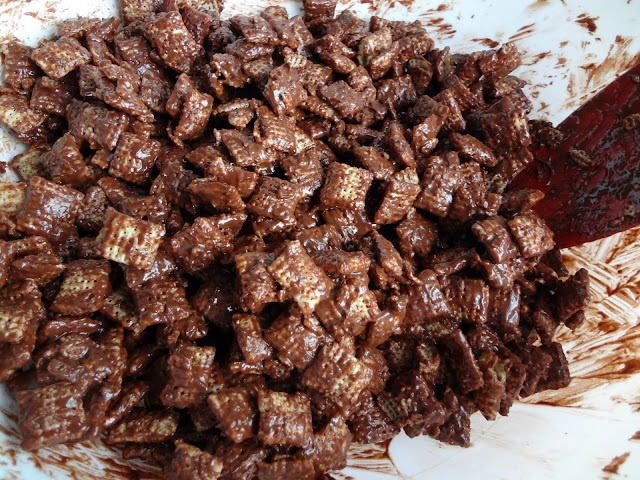 Pour chocolate mixture over cereal and mix until evenly coated. Pour into a 2 gallon resealable food storage bag. Add powdered sugar, seal bag, and shake until evenly coated. This is a wonderful food memory and a tasty classic. I remember in college we would take a break from late night studying and all meet up at the TV room in the dorm and munch on this. Easy and always a welcome snack. You did have a good weekend hooking up with some high school friends-that is always fun! It was great :) I love that you have memories with this too! I love this post!! I could eat myself to death with puppy chow...seriously...! Yum! 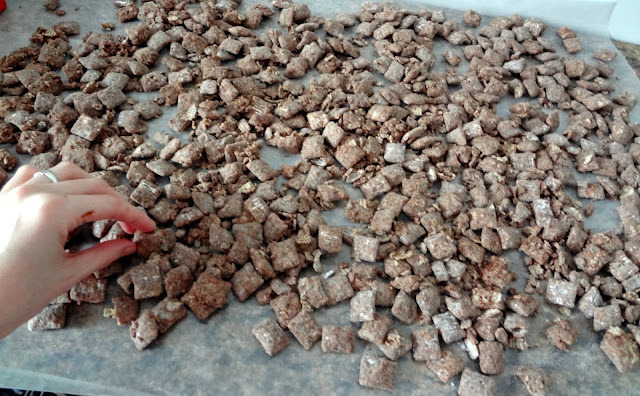 This totally brings me back to high school too :) Our cafeteria sold these gigantic cups of puppy chow and I think I literally ate one before every soccer game, I need to make some again asap! And question for you New Yorker too :) Do you have any restaurant recs for when I come to visit my school?? I've been googling like crazy but I've only been to NYC once so I"m clueless! yay thanks!!! Your are awesome! I'm writing all of those down to bring with! I reallyyyyy want to go to Momofuku's Milk Bar too, I got four days so lots of time for food! Can't wait to come, I'll let you know where I end up eating at! I know-I'm super intrigued now. I found a lemon puppy chow that I can't wait to try. 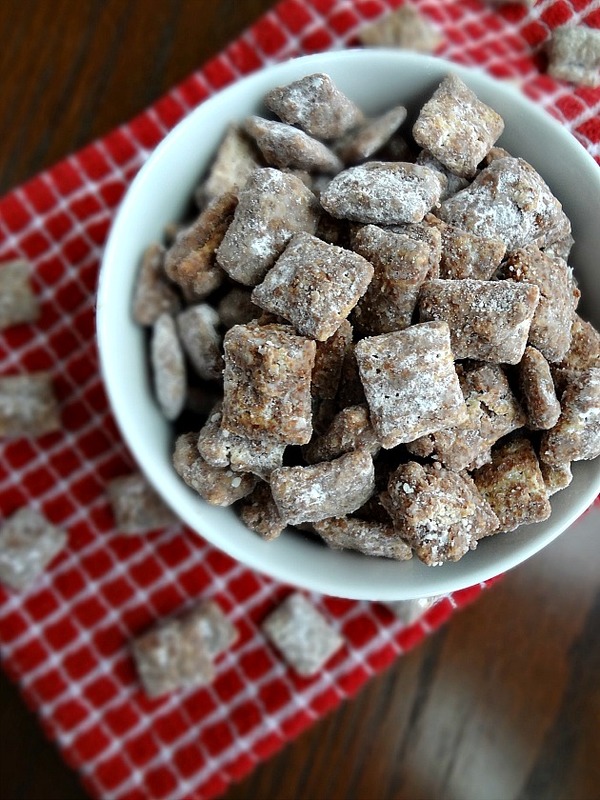 I adore puppy chow. Mostly because it has a cute name and you can munch on it endlessly! 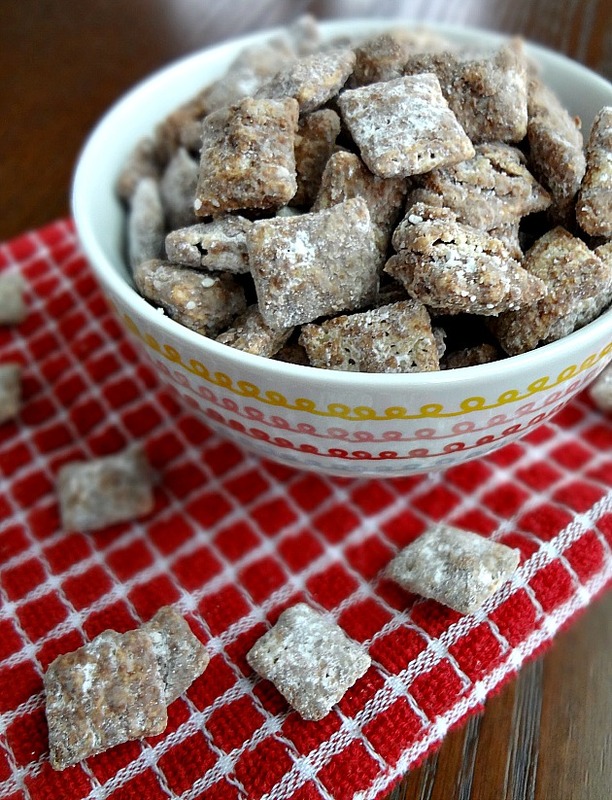 Puppy chow- Yum! I've never had it before, but I so want to reach in and grab a handful. I will be making this- stat! Thanks for sharing, Kayle. Ah! You've never had it before?! You must make it noooow! This looks so good! 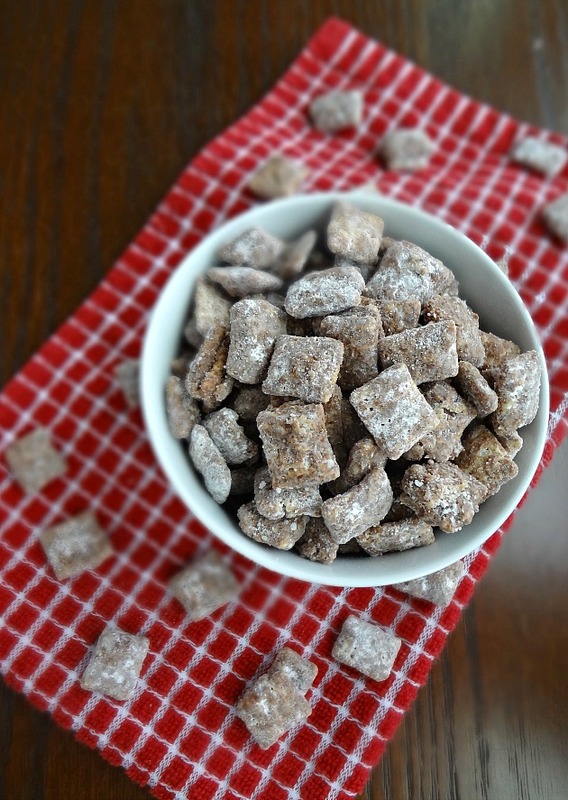 I've only ever had puppy chow with white chocolate, but I'd love to try your variation! 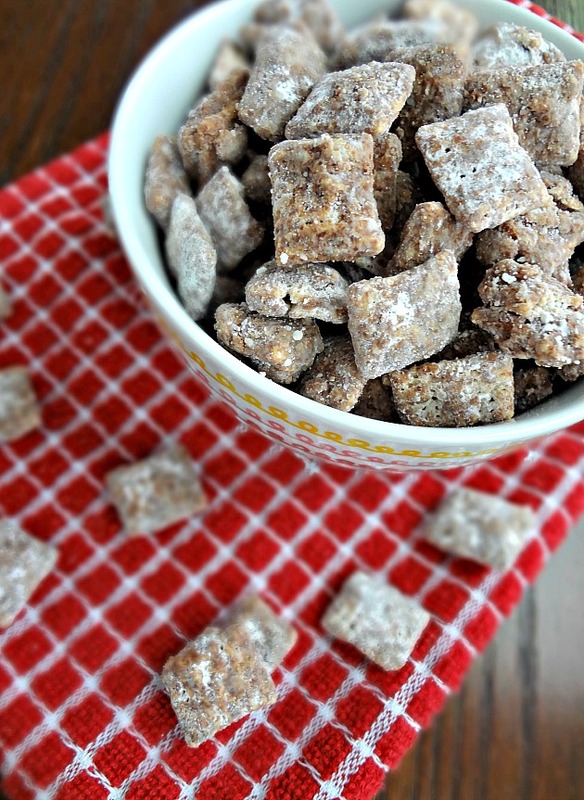 OMG - I have never had puppy chow before and this looks amazing! i've never had puppy chow before but i'm totally intrigued, it sounds awesome! and i bet the coconut oil would be really good with these flavors! *gasp* you guys are all breaking my heart! You must have this! Unfortunately I can't the ingredients for Puppy Chow in England. :-(Otherwise I would have had a go at making it. The puppy chow looks delicious, but I'm intrigued by the reviews of the plays you saw. How was the choreography of "How to Succeed"? I remember seeing a number from it on the Tonys last year that looked really good--although I have no need to see Nick Jonas in anything. The choreography was prob. the best part of it. It was just a really kind of blah plot, and Nick Jonas was not likeable in any way. I totally forgot about this stuff! It's super good, thanks for posting it! !